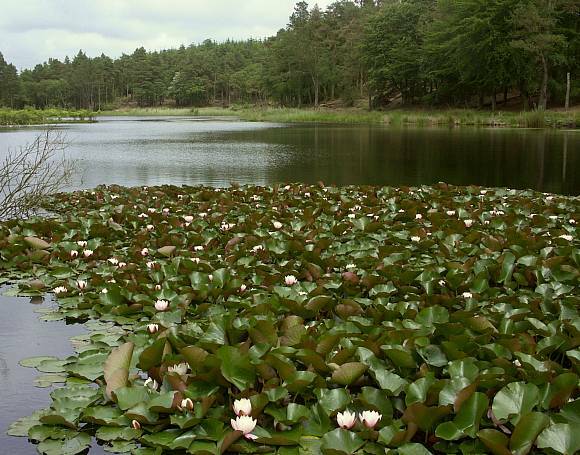 As happy to grow on mountain tarns as canals and fishing ponds. 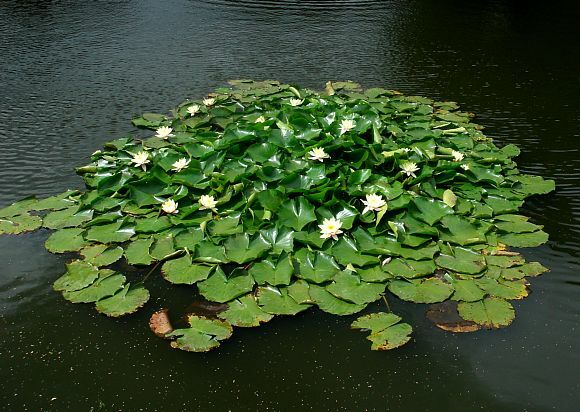 Mature leaves rarely submerged. Leaves green tending to reddish-brown. Satin on upper surface. Leaf veins form a reticulum near the leaf edge. 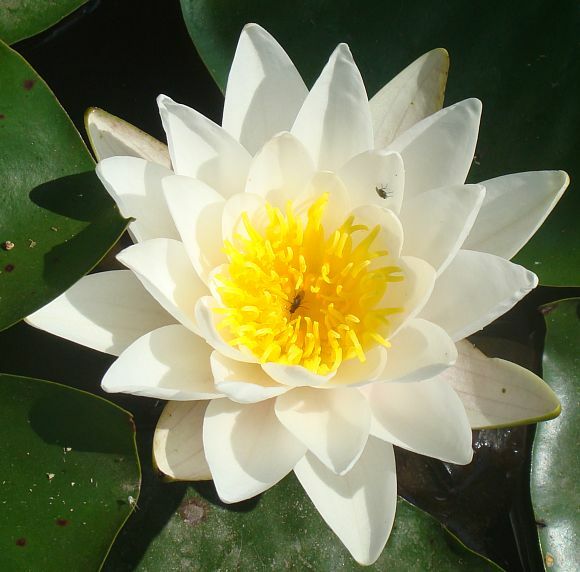 Flowers white with between 12 and 35 petals and a yellow centre of stamens. Between 46 to 125 yellow stamens in centre. 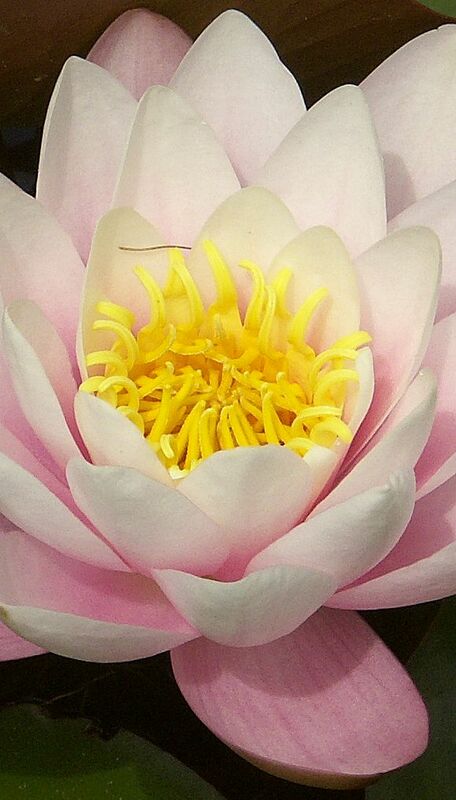 Dozens of curved stamens nestle in the centre. An as yet un-opened flower bud; four oval sepals but sometimes only three or as many as five. New leaves emerge from the depths curled up. Veins prominent on brownish underside. 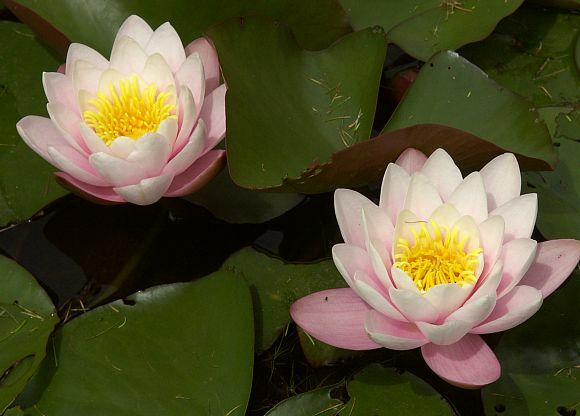 Other exotic species exist with coloured flowers, red, yellow and pink, which are usually 'planted' (thrown out of ponds into another body of water) or water-garden escapes which may spread. 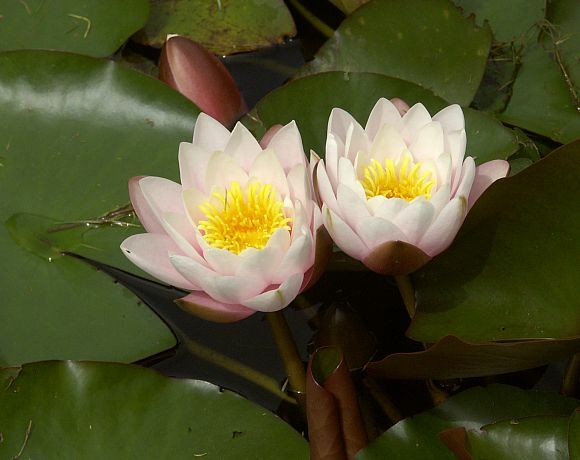 They are usually referred to as Nympaea × marliacea and are hybrids of Nymphaea alba. 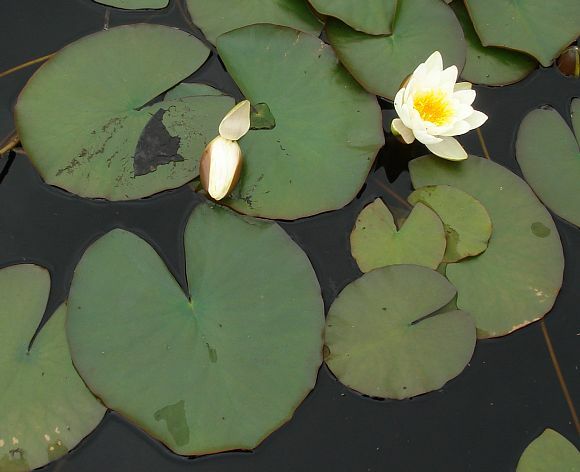 Uniquely identifiable characteristics : A large multi-petalled white flower with very large leaves floating upon still freshwater. 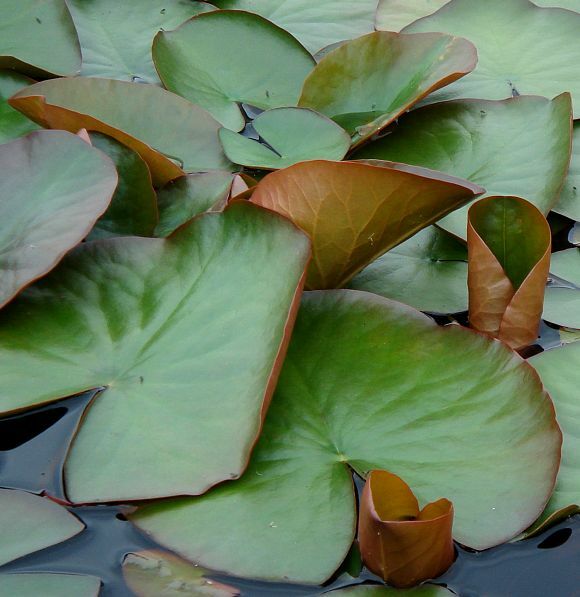 Beware some coloured aquatic garden varieties. 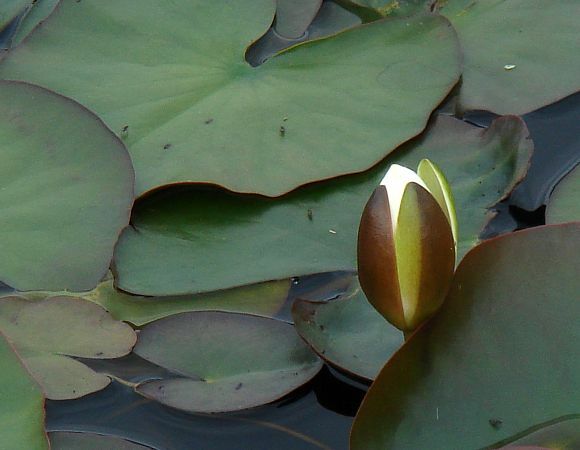 No relation to : Fringed Water-Lily [a plant with similar name] which is yellow but is not a Water-Lily and instead belongs to the Bogbean family. The roots of this plant yield a brown dye. 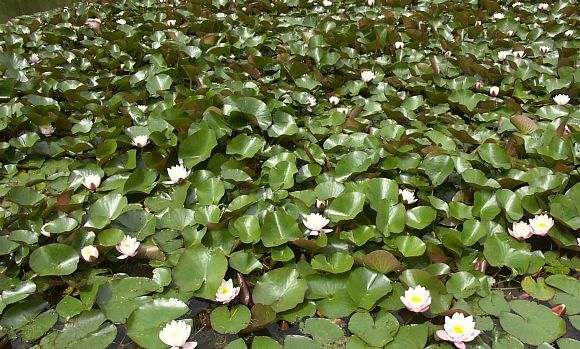 White Water-Lily contains several poisonous alkaloids: Nupharine (a cardenolide glycoside), Nymphaline , Aporphines, tannins (which account for the astringency) and some Myrcitrin (in the leaves). Myricitrin is Flavonol Glycoside based upon the flavonol Myricetin, being the 3-O-rhamnoside (or thamnoside) of Myricetin. 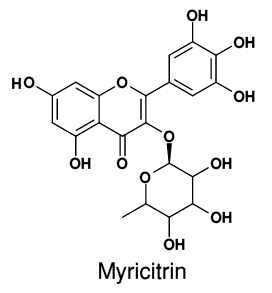 Myricetrin was first identified in species of Myrica cerifera , the Bayberry Tree, not native to the UK, but which grows in North america. 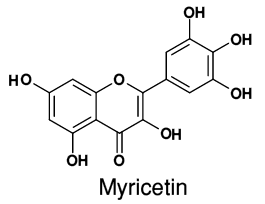 Myricetin is a flavonol flavonoid similar to Quercetin and just shown for illustration purposes. Found also in grapes, berries, fruits, herbs and vegetables it has anti-septic properties, and it was found it can also lower the incidence of prostrate cancer. Neither of these should be confused with Myristicin, a poisonous phenylpropanoid.